ISLAMABAD: The government of Pakistan has appointed Air Marshal Farooq Habib as Vice Chief of the Air Staff, Pakistan Air Force (PAF). He was commissioned in the GD (P) branch of PAF in June 1982. 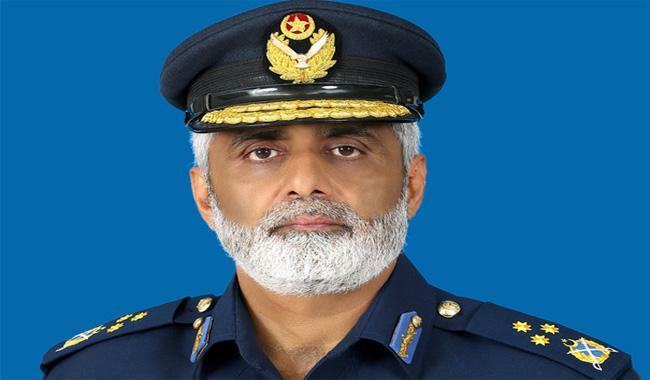 During his illustrious career, he has commanded a fighter squadron, an operational air base and served as commandant at Air War College, Faisal. He has also commanded PAF’s Super Mushshak contingent in Saudi Arabia. His staff appointments include Deputy Director Operations Branch and Assistant Chief of Air Staff (Safety), Deputy Chief of the Air Staff (Training) and Deputy Chief of the Air Staff (Personnel) at Air Headquarters. He is a qualified flying instructor and a graduate of Combat Commanders’ School, Air War College and National Defence University. He holds master’s degrees in strategic studies and defence & strategic studies. He is a recipient of Sitara-i-Imtiaz (Military) and Hilal-i-Imtiaz (Military).